A pre-employment physical is typically required by a prospective employer before they will consider you for hire. They are usually mandatory, and most prospective employers or health insurance companies cover them. If you have any questions about your particular case, feel free to call us. The purpose of a pre-employment physical is to evaluate your health and lifestyle. It is usually only required after the job is offered. Because many of today’s jobs require you to be in good physical condition and to lead a drug free life, you will be asked to prove that you live up to these standards. Your new job may have physical demands that your employer wants to verify you can handle. Some jobs require a person to be able to endure a particular amount of hard labor, standing for long periods of time, or other mentally or physically taxing actions. You must be able to meet the essential physical demands of the job. Our pre employment medical examination will evaluate your physical and mental ability to perform the required job duties. Depending upon the job, your exam may include strenuous physical testing and a review of your ability to tolerate exposure to hazardous materials. The exam is never typical because each job is different. One of the specific tests you may be subjected to is the physical ability test. This measures the ability of a person to perform a certain task, such as bending, twisting or lifting, and is used only to test a certain muscle group. It also determines your general strength and stamina. New York pre employment health test mandates that your vaccinations are up to date, especially if the patient is looking to work in health care setting. You are also required to go through PPD placement for tuberculosis screening. If that the case, the patient will be asked to returned 48-72 hours later to be reevaluated before the medical clearance form could be completed. Lastly, additional work related specific tests may be needed and the doctor will order them if indicated. Your employer may also require drug and alcohol testing. Often, corporations won’t insure employees unless they can pass a drug test. The test usually requires a sample of urine, hair, or blood. We refer to a facility that will return results within 7-10 business days. What else can I expect from a pre employment medical exam? This exam shares the same features as our annual physical checkup. What drug testing can I expect during a pre employment medical screening? There are many types of pre-employment drug testing that you may be asked to take. These tests are meant to detect the presence of any drugs or alcohol in your system. Most employers look for a five panel test of street drugs. Although we do not do this on site, we refer to a quality facility that is working with us to provide the results within 7-10 business days. In order to protect you against any job discrimination, the pre-employment medical checkup should only take place after you have received a notice of a conditional offer of employment. Our offices ensure that your pre-employment physical goes smoothly and according to plan. We perform exams and testing at our facilities during normal office hours: M-F 10-5. 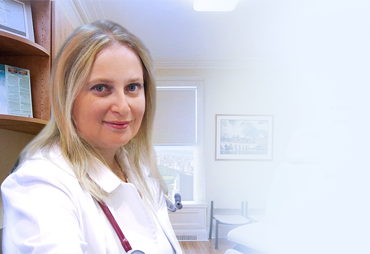 With our physician and staff, pre-employment health assessments in New York are fast and efficient. You are in and out of the doctor’s office quickly and efficiently.